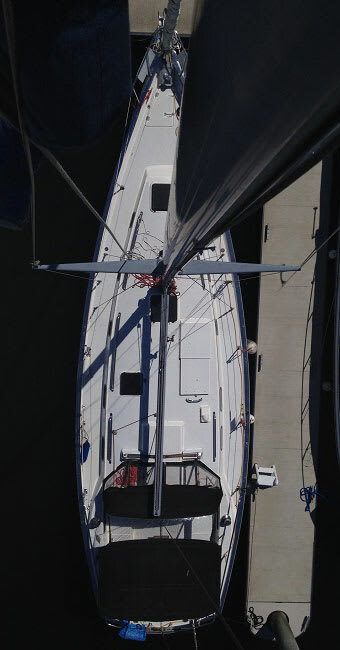 Rhythm is a 42 foot Pearson 424 sailboat. 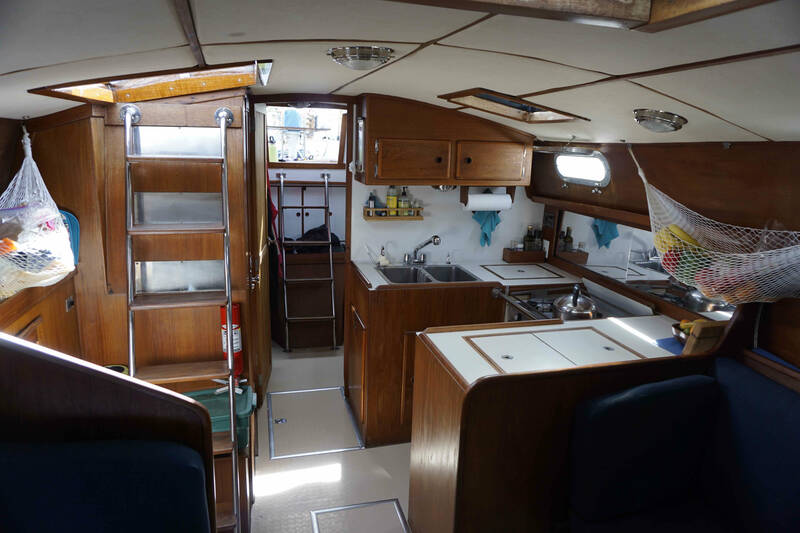 She was built in Portsmouth, Rhode Island, completed in 1979, and the 41st of her kind. What we know of Rhythm's story begins in Duniden, Florida in the late 80's. 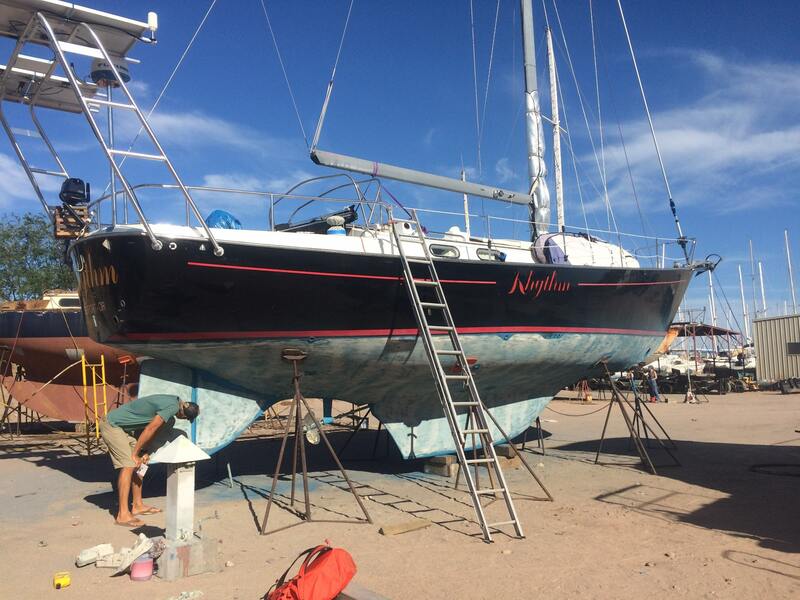 She was up for sale, and Andy Greenshields of Everett Washington came to Florida to become her newest owner. He purchased Rhythm in August of 1988, and he sailed her as far as Miami before he met his wife, Mette. 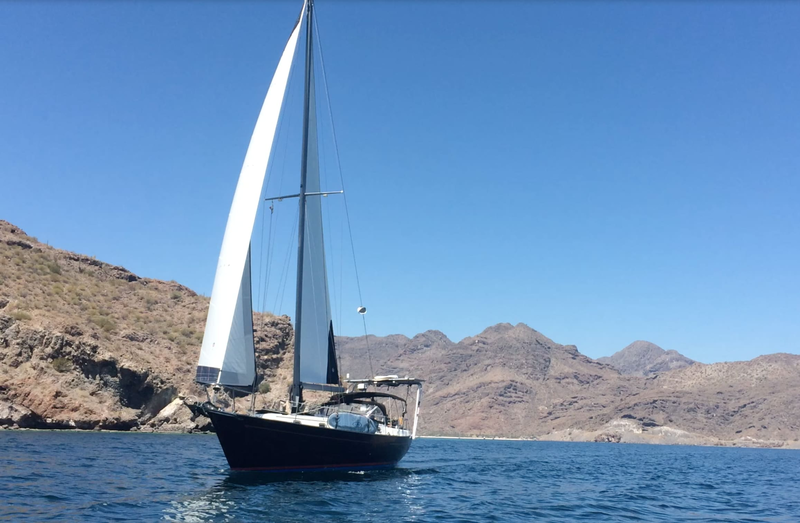 In the year that followed they travelled together through the Carribean, along the Gulf Coast, through the Panama Canal, Central America, Mexico, and finally North to Seattle. 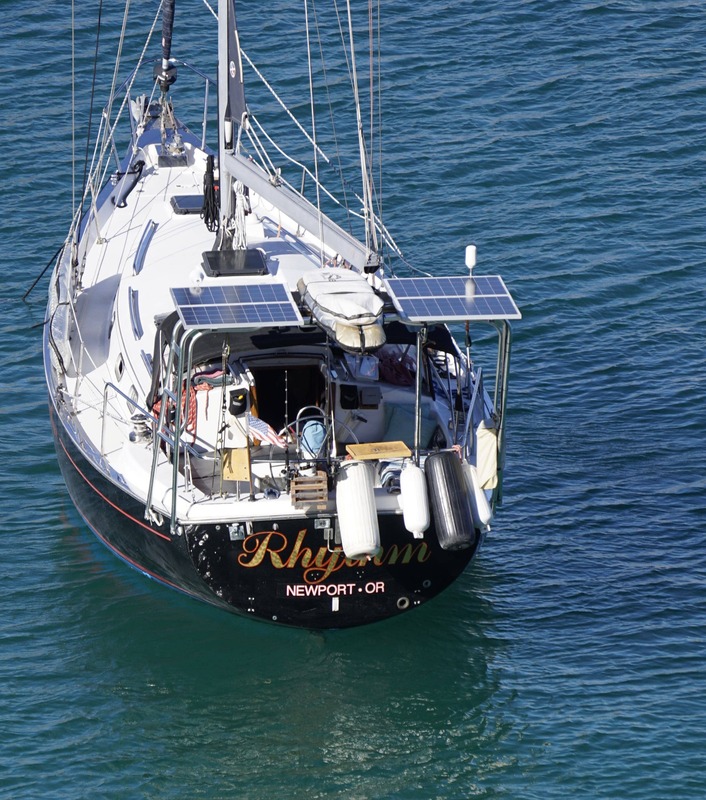 Rhythm was then repowered and overhauled at Lake Union, and belonged to the couple for the next 20 years. Andy's death forced the sale of Rhythm in 2009, and she belonged to another couple from Everett for the next 5 years. Then, we purchased her in Anacortes Washington in August of 2014, 26 years to the day from when she was purchased by Andy in Florida. 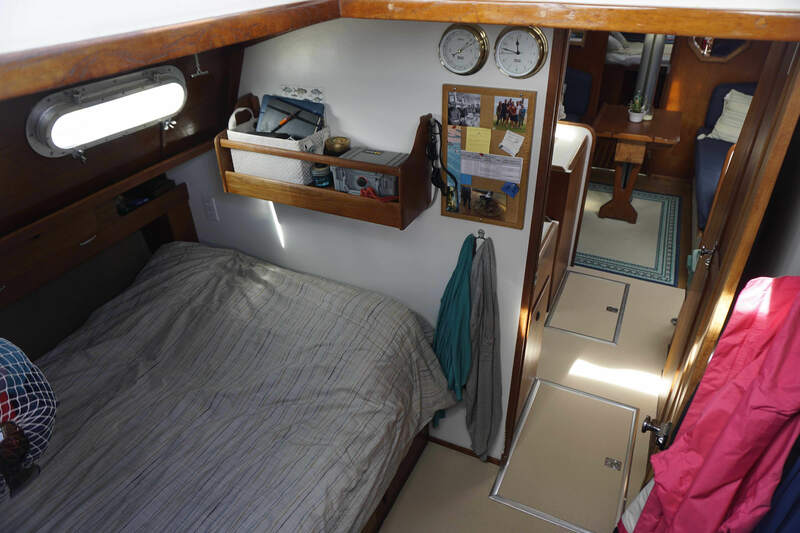 The Pearson 424 comfortably sleeps 4, but can house up to 6 if everyone is good at living together in tight quarters. We recently added an aluminum stern arch that supports 400 watts of solar power, which in turn supports a 500 amp-hour house bank. When the sun isn't shining, we fall back on a small 2000 watt inverter-generator. Rhythm has a very basic but reliable set of electronics. We have an older Garmin chartplotter, an older Furuno radar, Raymarine Autohelm, depthsounder, VHF radio and AIS receiver. Most of our chartplotting is done with an Ipad connected via bluetooth to a BadElf GPS. For poorly charted areas we usually cross reference Garmin and Navionics charts with local cruising guides. For short range exploration she carries a 10' zodiac rigid inflatable powered by a 6hp nissan outboard. We also roll with a small quiver of surf and kite boards. 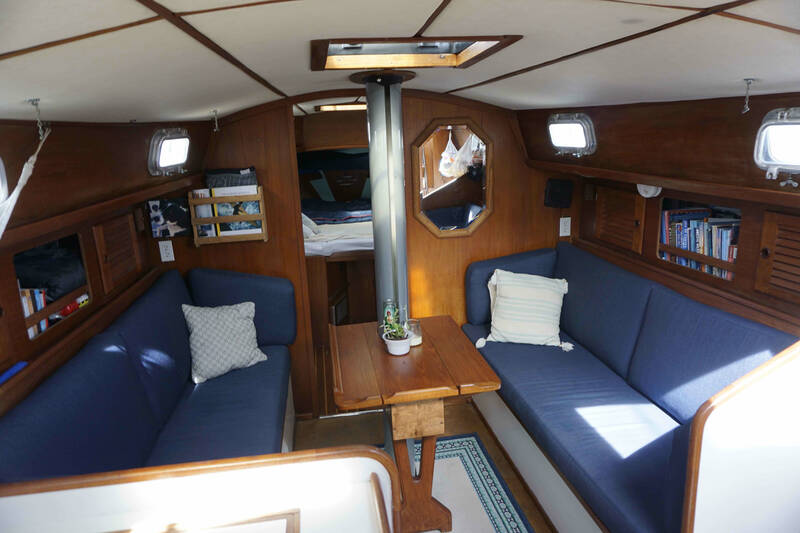 Rhythm has proven herself to be a happy compromise between the stability of a classic full keeled cruiser and a faster modern boat. 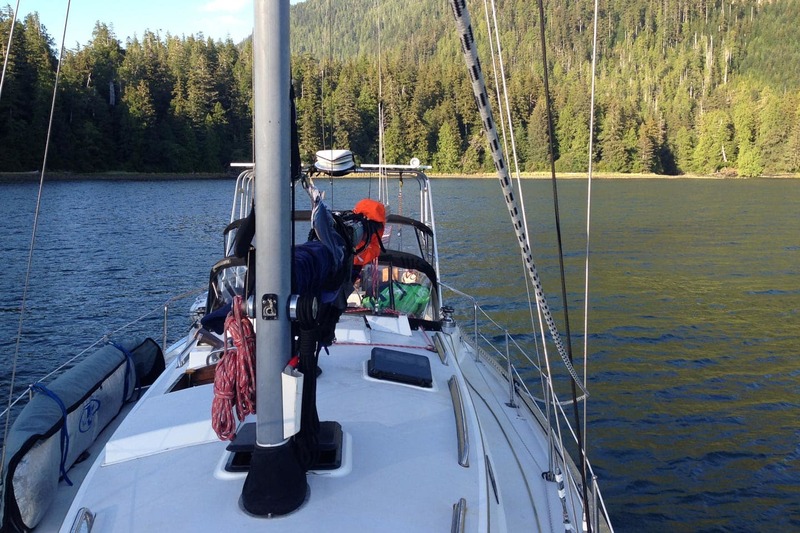 With the help of her oversized second-hand spinnaker, she'll move along quietly at 5 knots in an 8-10 knot breeze. 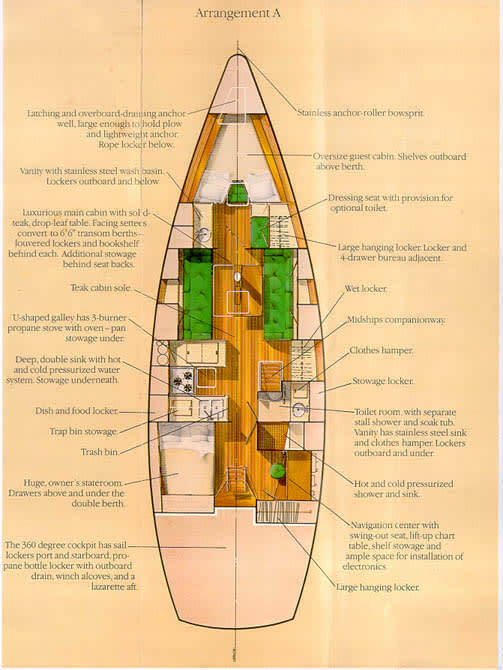 If the winds pick up to 15 knots or more she'll cruise comfortably at 6-8 knots. 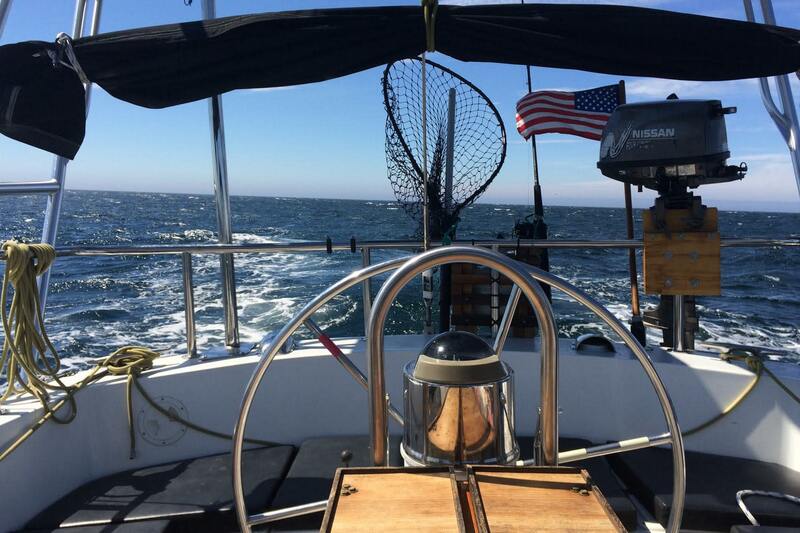 By 20 knots, or if she starts consistently hitting 9 knots or more it's time to reef. She won't point particularly high, but she can work her way up wind if she has to. She can beam reach with the best of 'em and tracks nicely even when a swell is running.